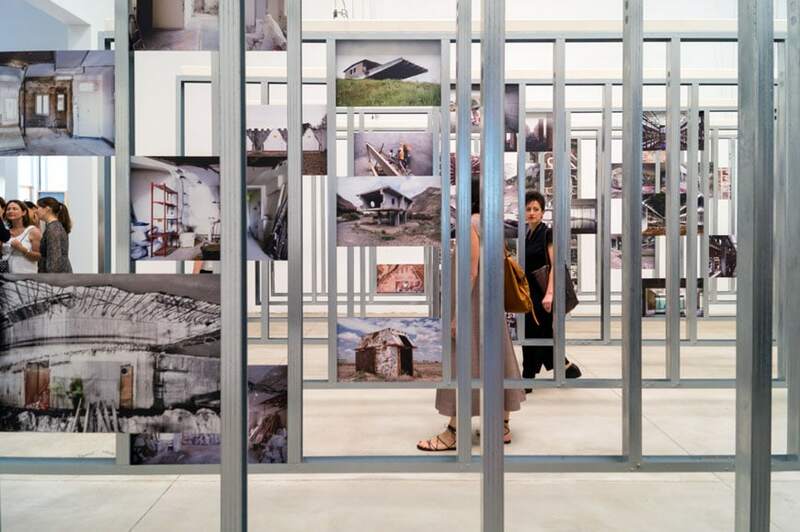 The exhibition Unfinished in the Spanish pavilion at the 15th Architecture Biennale focuses on the large number of uncompleted and/or abandoned buildings in Spain, a consequence of the frantic expansion of the construction industry the country was experiencing before the financial crisis of 2008. 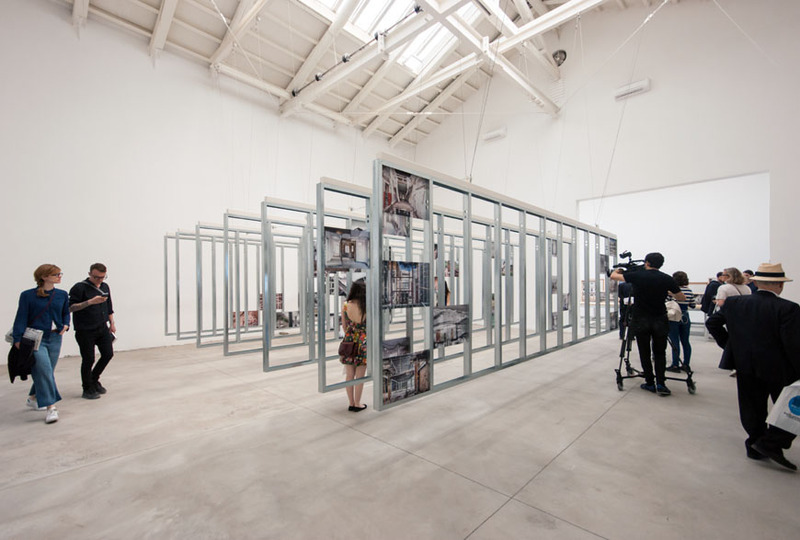 The lack of a long-term planning strategy and a reflection on the real usefulness of those projects, often conceived with the sole purpose to get a short-term profit, produced an enormous number of buildings abandoned just after the crisis begun, because there was no longer an economic reason for their completion and/or maintenance. 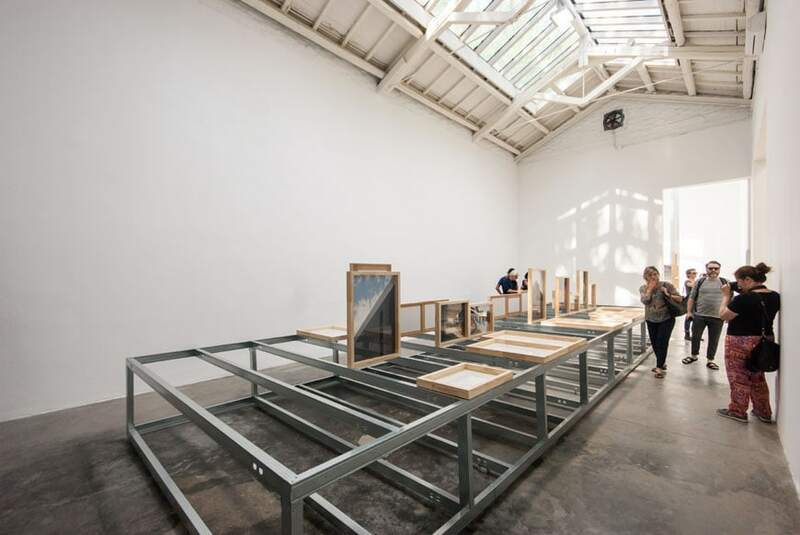 installation views. 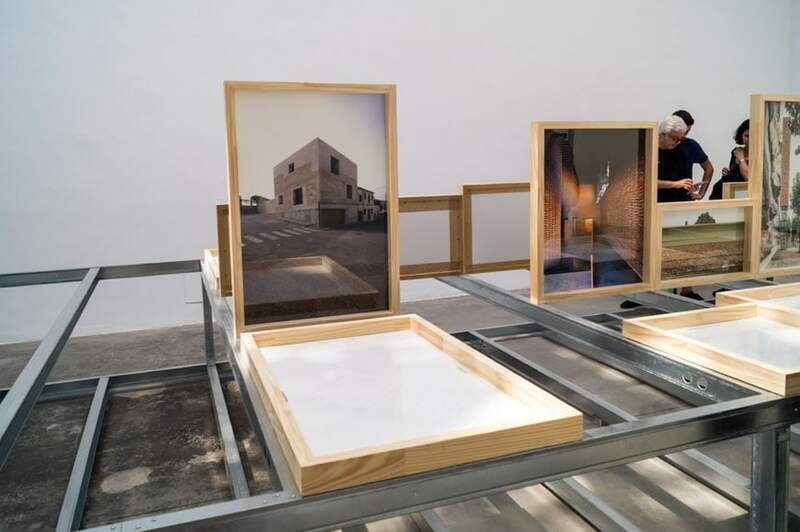 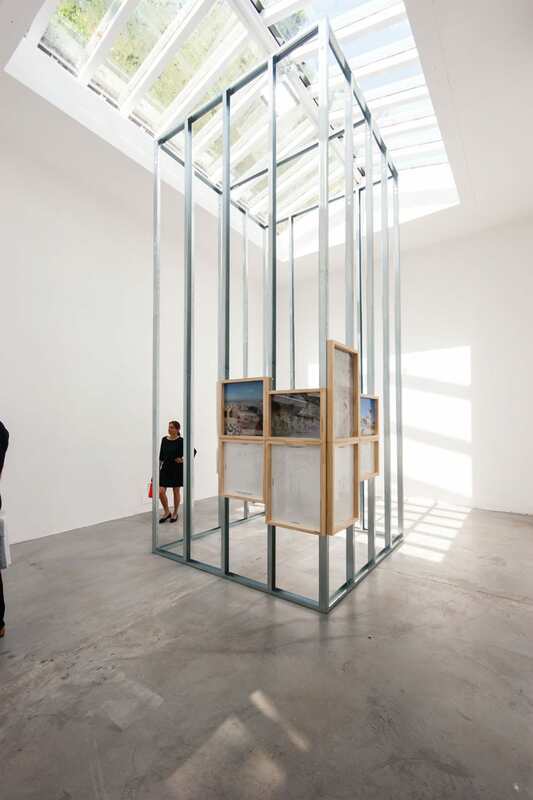 Photo courtesy la biennale di Venezia. 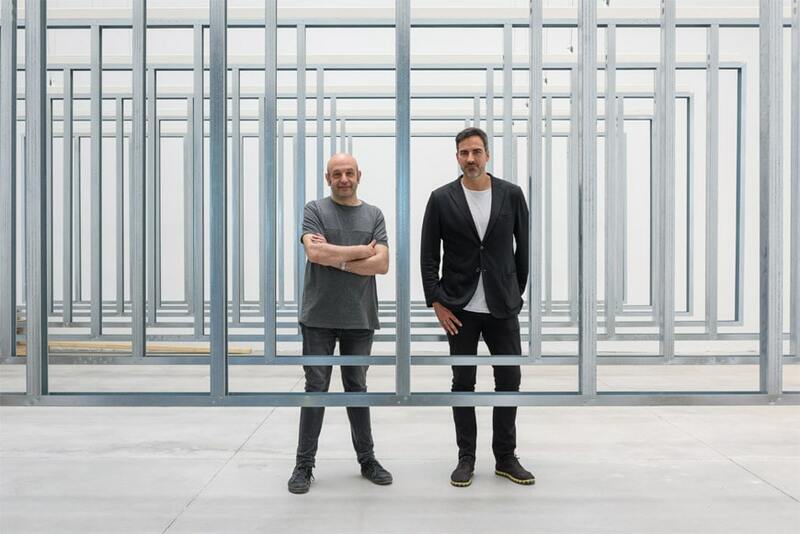 With Unfinished, the exhibition curators Iñaqui Carnicero and Carlos Quintáns propose a positive and hopeful vision of contemporary architecture, by presenting projects which have been able to create novel opportunities from this modern ruins, transforming and converting them into something eventually capable to meet Spanish people’s real needs instead than fascinating them with a fake architectural “grandeur”. 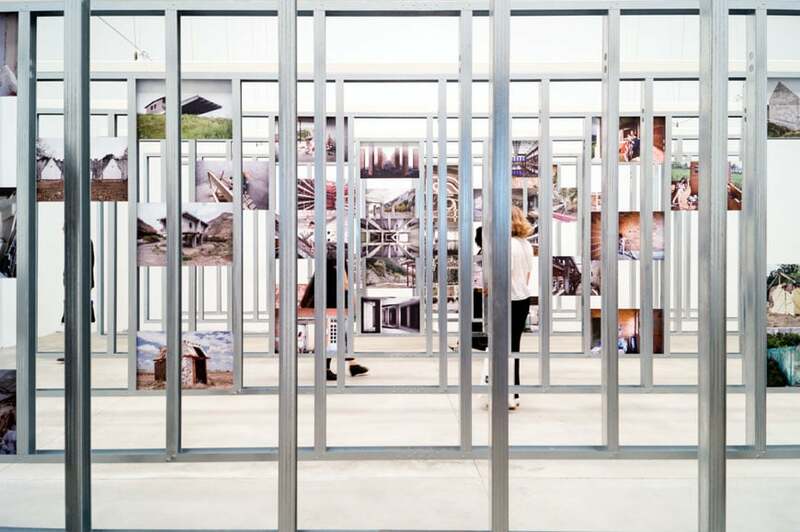 The themes of unfinished, proactive design, and constant transformation are perfectly expressed by the exhibition architecture , composed of metal profiles and photographs framed in pale wood to form a series of “incomplete matrices”. 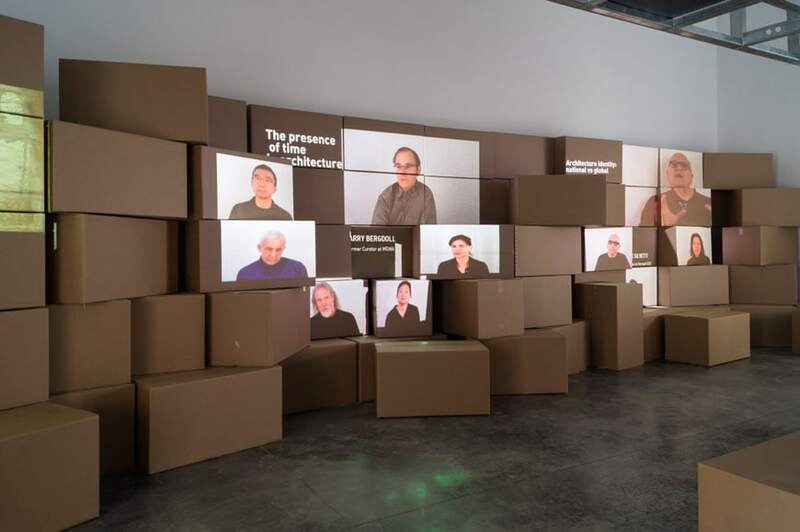 Additionally, in a separate room, video interviews to architects, academics and architectural critics are projected onto a pile of cardboard boxes. 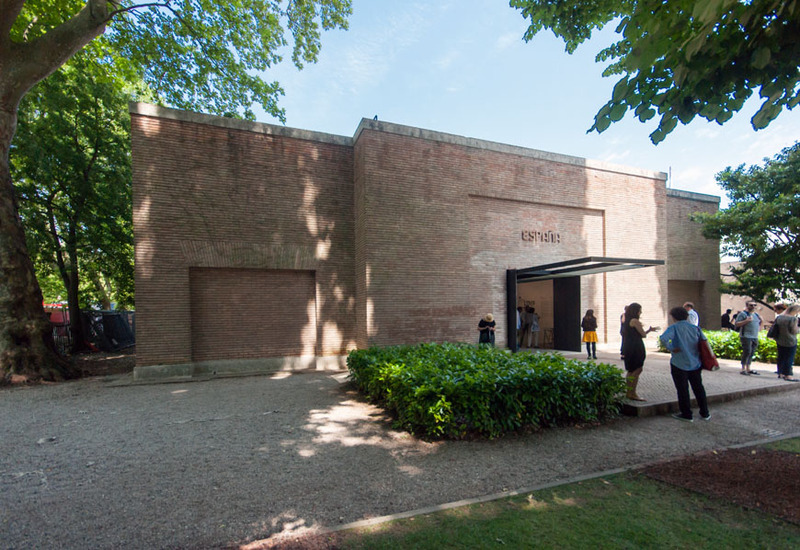 The Pavilion of Spain has been awarded the Golden Lion for Best National Participation.